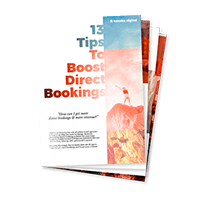 Do you want to boost your direct bookings? We can help you convert more lookers into bookers. Kanuka Digital are specialists in the web design, development and marketing of hotels and hostels. Our team of Content Writers, Designers, Developers, PPC Specialists and Social Experts will work with you to create more exposure to potential bookers and most importantly, more direct bookings. Your website ‘looking good’ is a given. We design websites from scratch that put your customers first to ensure that your brand, messaging and customer experience is tailored to your target market. By starting with interactive wireframes, we’ll plan and design the simple user journeys that will quickly turn your browsers into bookers, on every device. We follow the highest industry standards to engineer websites from the ground up with security, speed, SEO and scalability in mind, using a core set of proven and reliable extensions and partners, quality-checked to give you peace of mind. We have a proven track record in integrating reservation systems that ease the path to booking. Your website will never fall out of date, we stick around to host your site, make monthly updates, and new content as your business grows. The driving force behind all of your online decisions should be the strategy. We start with a thorough website and marketing audit to establish priorities and produce a focused strategy with the best tactics to increase direct bookings. Booking any trip usually starts with a Google search, that’s why we optimise your website and content to ensure it ranks highly in search engines. Quickly generate new customers with highly targeted and measurable traffic that puts your business in front of the right people, at the right time. Are your website visitors doing more looking than booking? 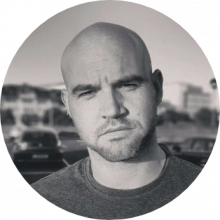 We can help fix that using tools like heat mapping and user journey recording to find the pain points. Creating good, purposeful content like expert local guides and insider info fuels your growth by engaging and inspiring your audience to make a booking. Expand your brand awareness by advertising to your target audience with highly targeted social and demographic information. Create meaningful conversations that nurture leads through the booking process and re-engage previous guests with personalised content and incentives. Present your website visitors with unique targeted features based on their identity that enables them to receive special offers and read specific reviews. 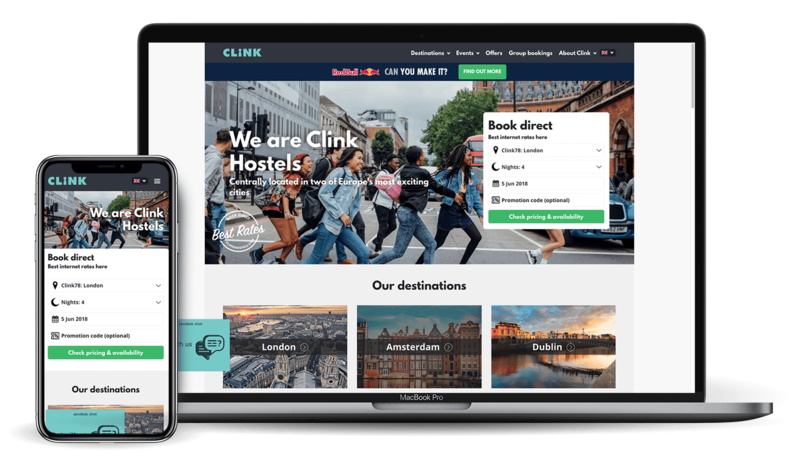 With three hostels across London and Amsterdam and plans to open new locations in the near future, Clink Hostels needed a scalable web solution that could grow with their business and make booking into one of their stylish, affordable rooms easier. With such a great, youth orientated brand it was important that Clink had an online presence to match and allow visitors to find exactly what they’re looking for quickly – whether that’s room availability, check-in times or local guides.